Excerpted by permission from “The Reminiscences of Vice Admiral Robert Taylor Scott Keith, U.S. Navy (Retired),” copyright © 1996 by the U.S. Naval Institute, 291 Wood Road, Annapolis, MD 21402-5034. 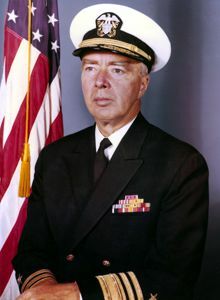 For further information on this or other oral histories in the USNI collection, please contact the Naval Institute’s history division at the above address or at http://www.usni.org/.